Christmas tree | Let their light shine! 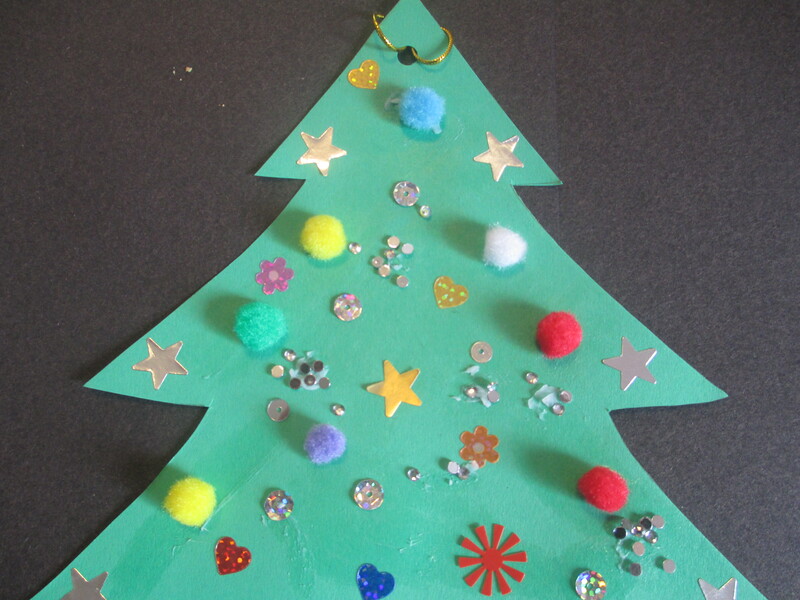 This is a very easy craft – the children draw around a tree template and cut out the shape. 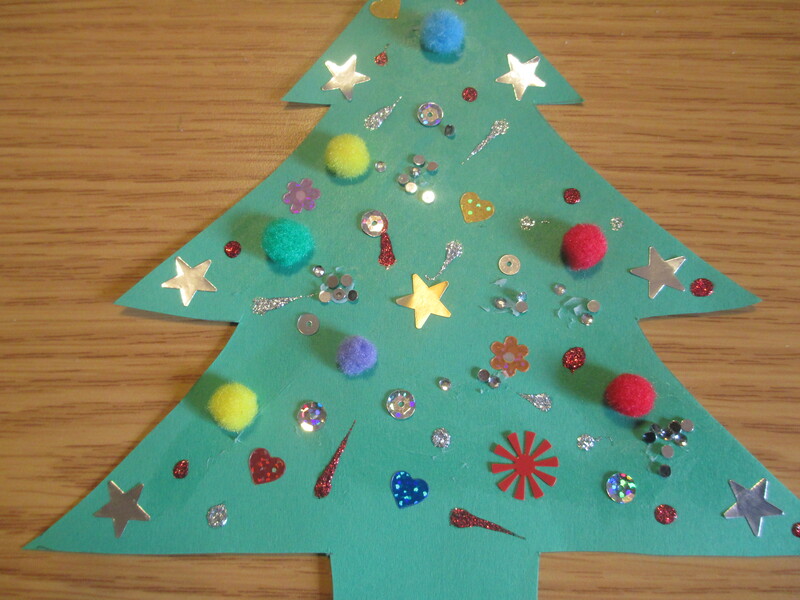 Then they decorate the tree with glittery shapes/paper and glitter glue and small pompoms (these are a little unwilling to stick but will if they are held down for a few seconds). Punch a hole in the top of the tree and add wool or cord. Glitter glue can take a while to dry so allow for that when you make these. T o make a Christmas tree template – white A4 card folded in half lengthwise – draw half a tree beginning and ending on the folded edge. When you unfold the card you will have a symmetrical tree. Cut out.